We've prepared a special year-end event on the last month of 2018. From December 14 to January 14, for about a month "Style65 Guy Body2 "(Assembling finished product) sell at event price 20% off during "Holiday period limit"
Especially, during this sales period, you can order "Suntan skin." During this time only, the option "Suntan skin" is added to the entire Style65 product. Prices will change from 11 a.m. on December 14th to the event discount price. Please check the amount at the time of purchase and request purchase during the event period. If you've been interested in the Style65 Guy Body2, don't miss this opportunity! * During the event, the Style65 product will have the "Suntan skin" option added. * Suntan skin will take approximately 4 more weeks than basic shipping time. Please refer to the order. 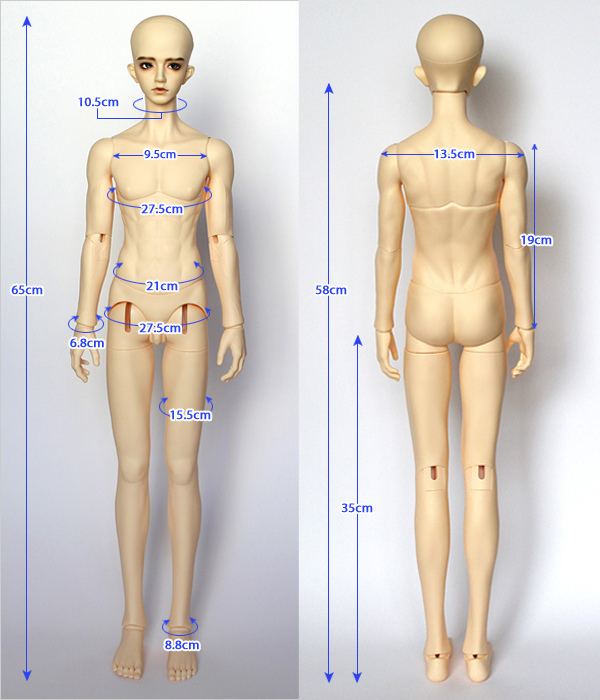 - Guy BodyⅡ (65), Guarantee card, Doll Cushion, Doll Box.